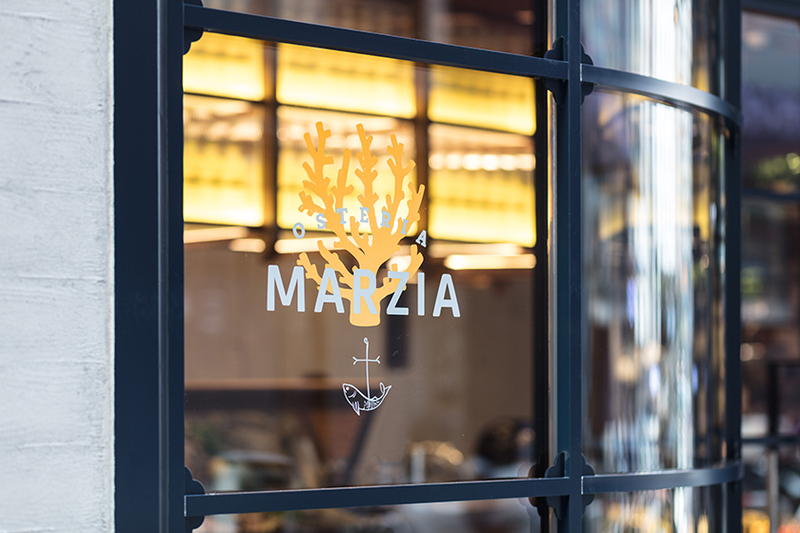 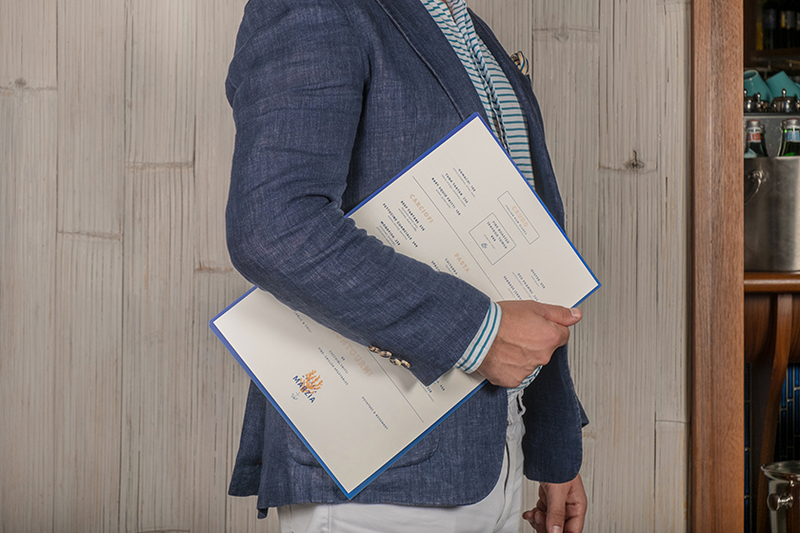 a place where the sun meets the sea, osteria marzia brings the cuisine and romance of the southern italian coast to the heart of wan chai. 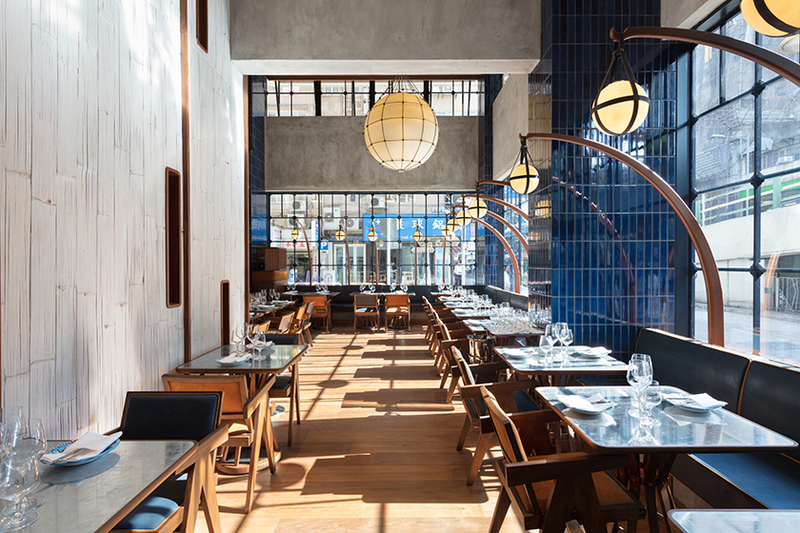 through expansive windows, the glorious glow of sunlight breathes life to the luminous aqua blues, yellows and golds inspired by the mediterranean sea and shoreline. 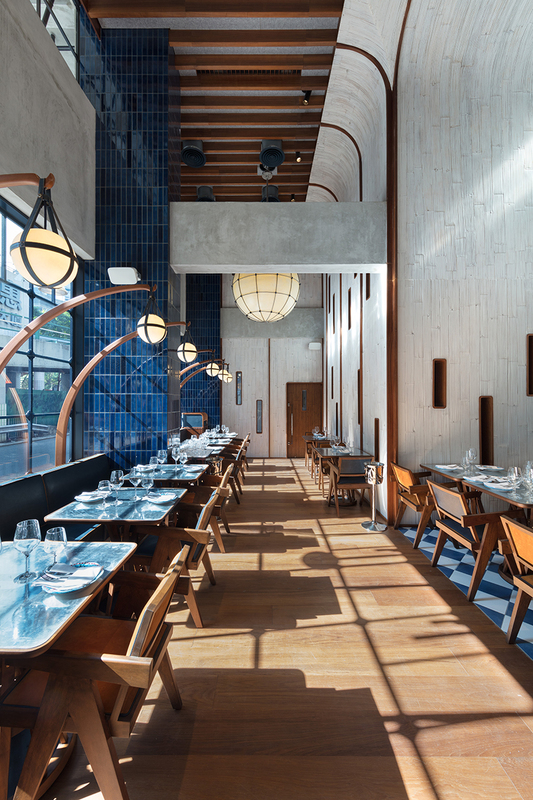 boat building techniques guide the interior architecture, and a contemporary maritime spirit find its expression in warm teak wood, white bamboo panels, navy blue banquettes and coral-blue tiles. 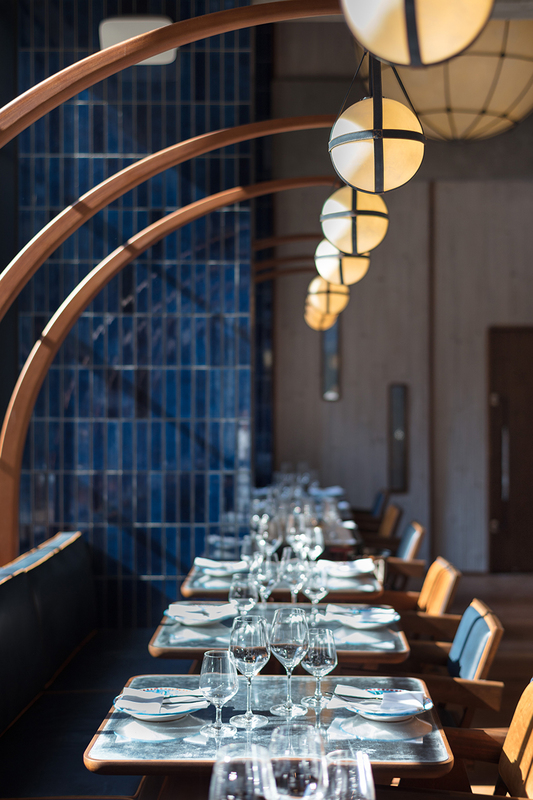 here, the sea reveals itself in tables with shimmering surfaces and lamps that look like fishing lanterns. 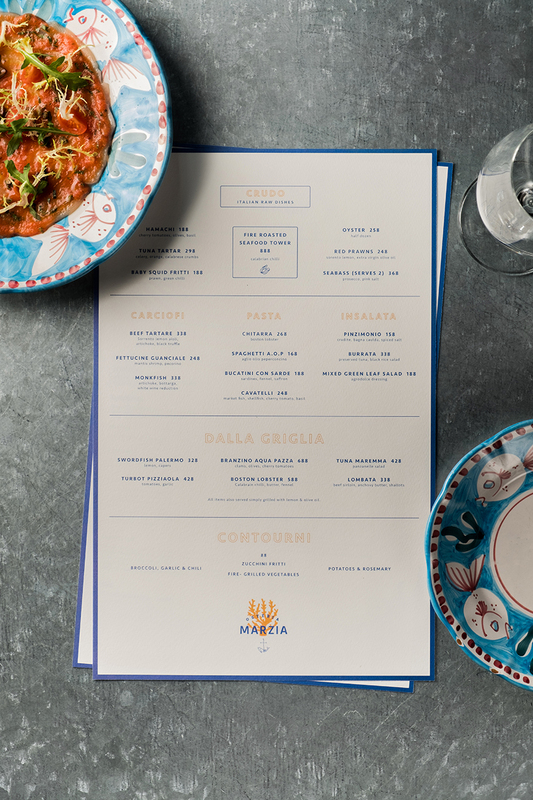 herbs from the aeolian islands perfume the air, as friends old and new gather to enjoy la dolce vita over wine and sumptuous italian seafood. 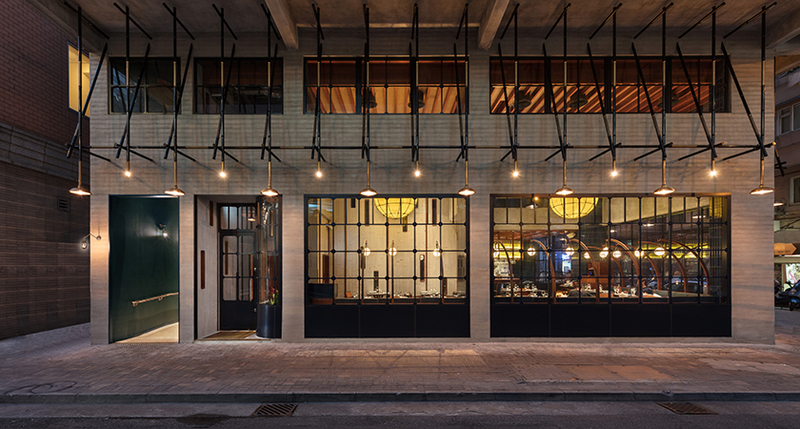 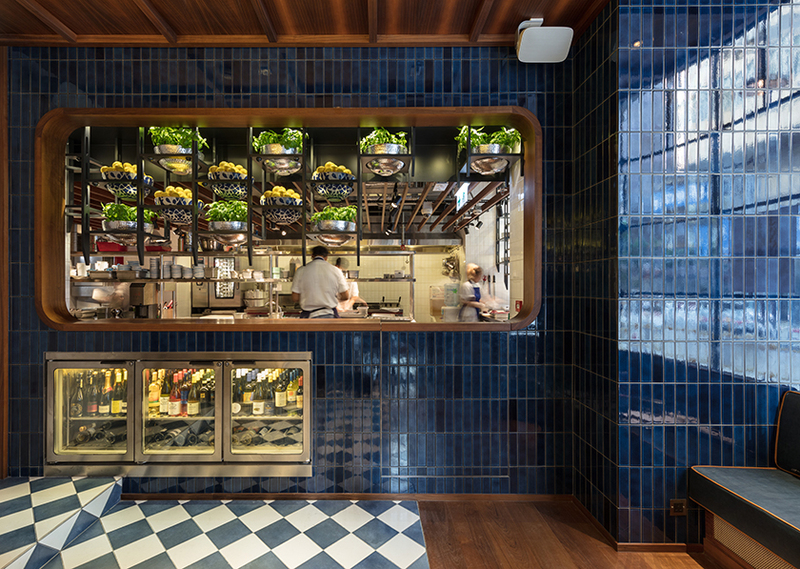 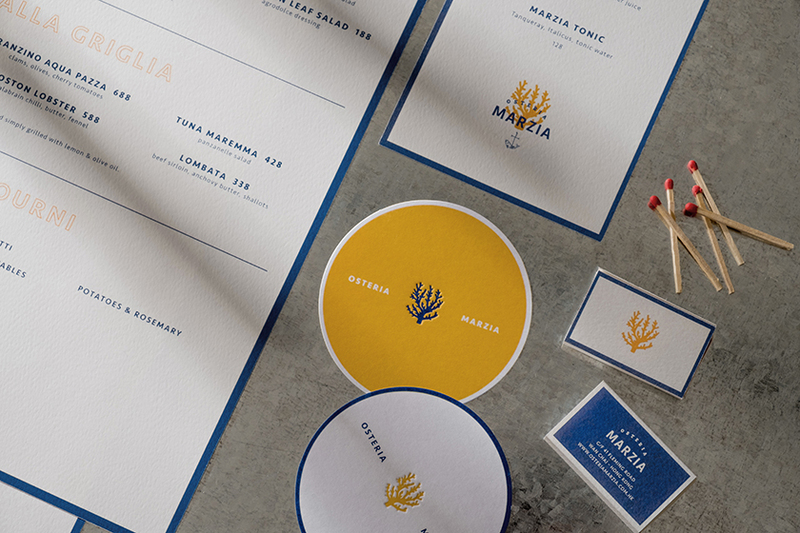 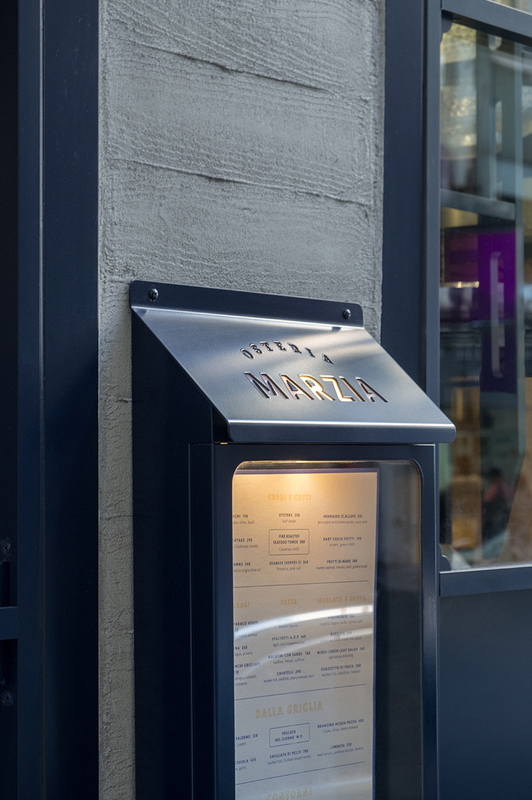 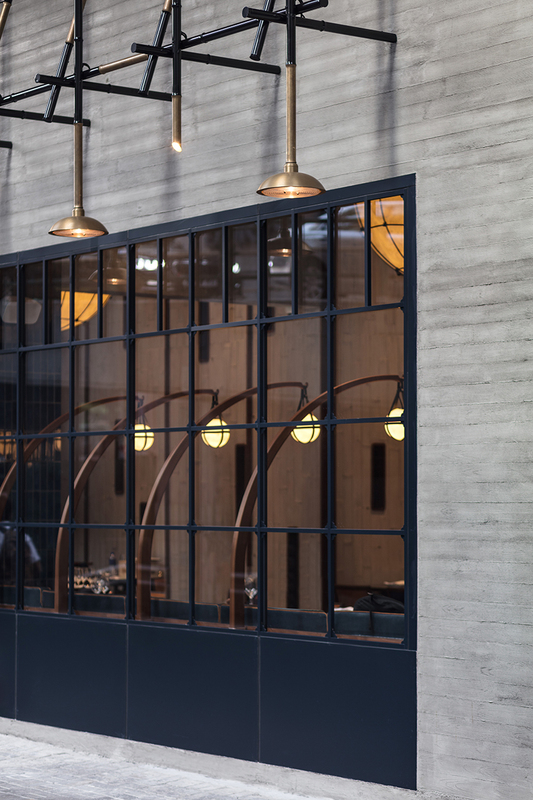 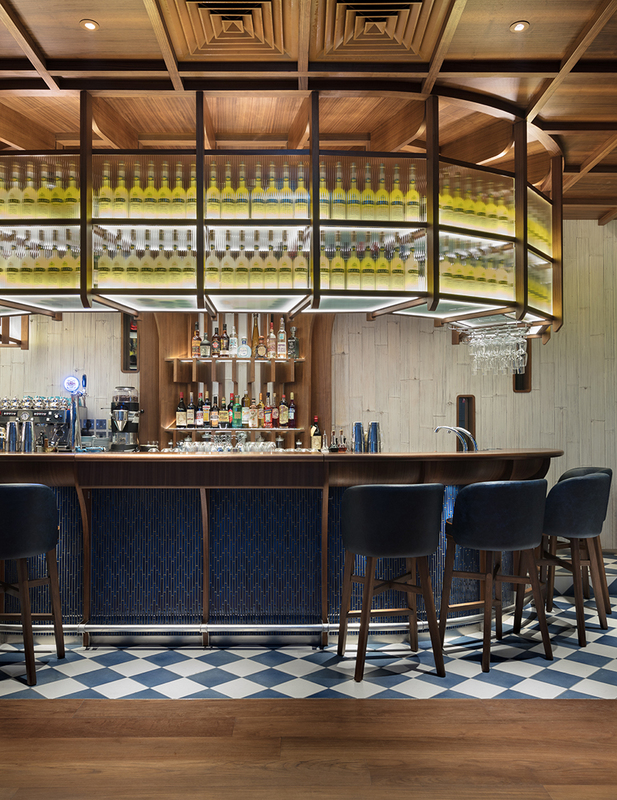 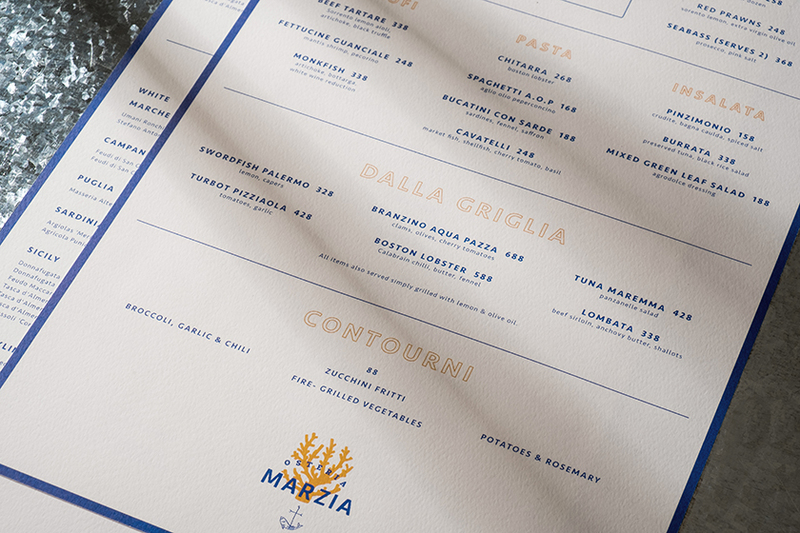 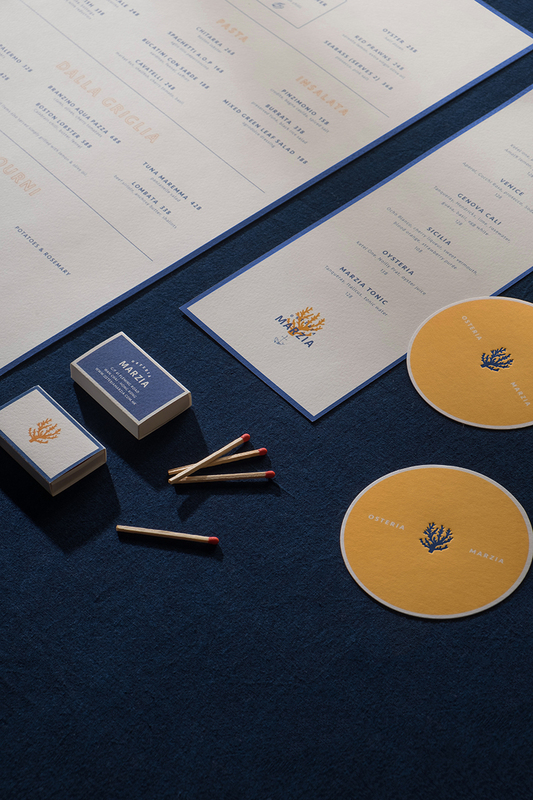 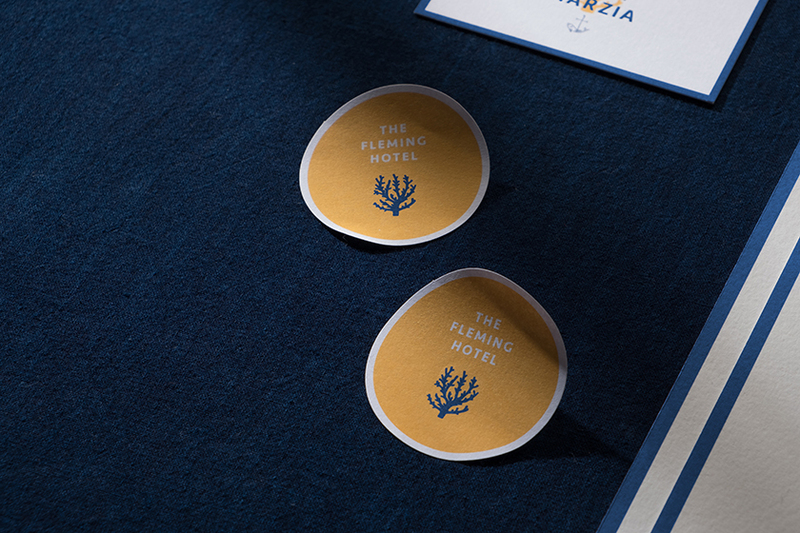 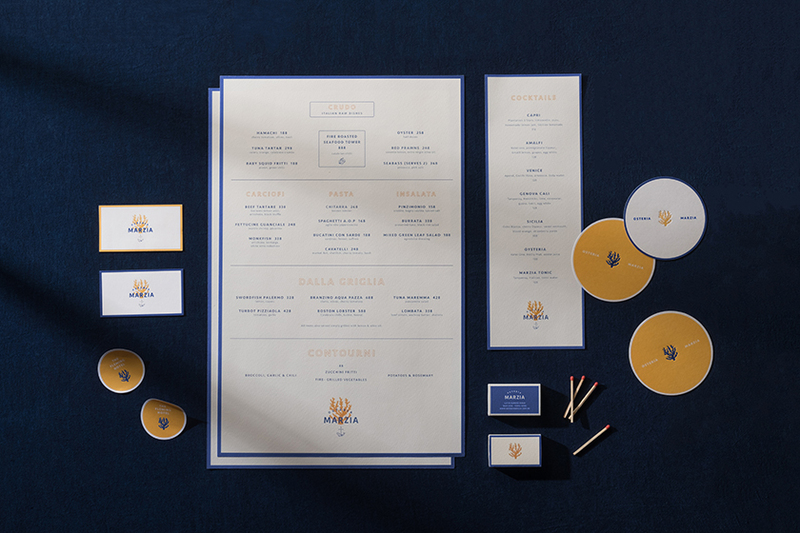 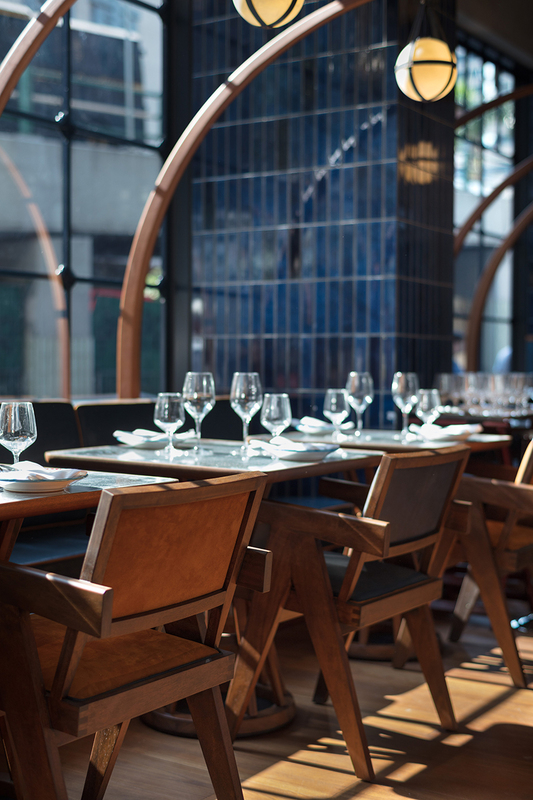 a homage to life in cities by the sea, osteria marzia is an encounter with the flavours and sensuality of the mediterranean, in a dazzling oasis near the hong kong harbour.